StudioLine Photo Classic is a series of tools packed into photo editing and manipulation program. 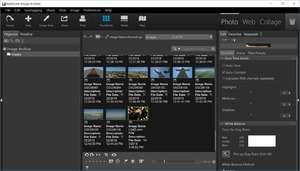 It offers users the ability to perform various optimizations on images including cropping and rotating image, removal of red eyes, manipulation of brightness and contract and more. Included with the main features as mentioned above is modification of saturation, edge smoothing, mirroring/reversing images and exposure adjustments. Once your image has been modified to satisfaction, you may create photo slideshows, image galleries, calendars and even greeting cards. StudioLine Photo Classic 4.2.44 is a shareware program and can be used as a demo to try the software until the free trial period has ended. A full version of the program is available after the trial period ends. For security reasons, you should also check out the StudioLine Photo Classic download at LO4D.com which includes virus and malware tests. Additional screenshots of this application download may be available, too.